Ronda Rousey vs Nikki Bella for the Raw Women’s title; Becky Lynch vs Charlotte Flair for the Smackdown Women’s title in a last women standing match; Kairi Sane vs Shayna Baszler for the NXT Women’s title; Io Shirai vs Toni Storm in the 2018 Mae Young Classic final; Trish Stratus and Lita vs Mickie James and Alicia Fox; Sasha Banks, Bayley, and Natalya vs The Riott Squad in a six-woman tag match; and the battle royal to determine the new number one contender for either the Raw and Smackdown Women’s title. The participants in the battle royal so far are: Alundra Blayze, Asuka, Billie Kay, Carmella, Dana Brooke, Ember Moon, Ivory, Kelly Kelly, Lana, Maria Kanellis, Molly Holly, Peyton Royce, Mandy Rose, Michelle McCool, Naomi, Nia Jax, Sonya Deville, Tamina, Torrie Wilson, and Zelina Vega. For those living in countries where daylight saving time ended during the night, Evolution will be starting an hour earlier than usual. For those on GMT time, the Kickoff show will start at 10PM and the actual pay-per-view at 11PM. Those on CET, or GMT+1, it’s an hour later, with Kickoff starting at 11PM and the pay-per-view at Midnight. 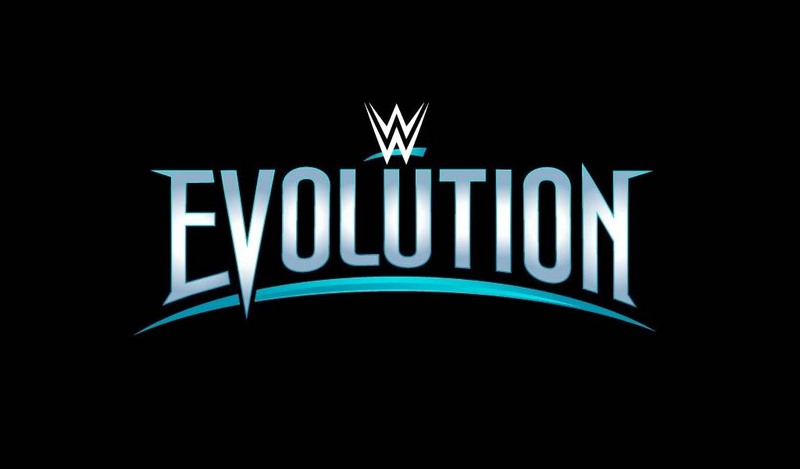 Evolution is free for first-time subscribers to the WWE Network. Start your 30-day trial at http://w-o.it/wwentwrk.